Sold and fulfilled by Inetrade India (4.0 out of 5 | 1,119 ratings). Improve your game and discover your true potential by increasing your concentration, willpower and confidence. 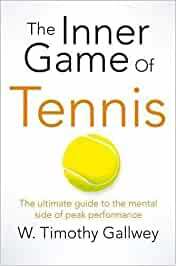 Described by Billie Jean King as her 'tennis bible', Timothy Gallwey's multi-million bestseller, including an introduction from acclaimed sports psychologist Geoff Beattie, has been a phenomenon for players of all abilities since it was first published in 1972. Instead of concentrating on how to improve your technique, it starts from the understanding that 'every game is composed of two parts, an outer game and an inner game'. The former is played against opponents on the court, but the latter is a battle within ourselves as we try and overcome self-doubt and anxiety. It is often won or lost before a ball has been hit. Gallwey's revolutionary approach, built on a foundation of Zen thinking and humanistic psychology, will teach you how to develop your concentration, work on your gamesmanship and help you break bad habits. You will also learn how to trust yourself on the court and how to maintain clarity of mind throughout the match, giving you a clear psychological advantage over your opponent. Whether you are an amateur or a pro, The Inner Game of Tennis is essential reading for overcoming the self-doubt, nervousness, and lapses of concentration that can keep a player from winning. It is guaranteed to change the way you play tennis forever. 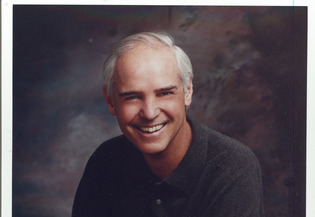 Ever since Timothy Gallwey missed a heartbreakingly easy volley on match point in the National Junior Tennis Championship at the age of fifteen, he has been fascinated with the problem of how human beings interfere with their own ability to achieve and learn. His search for practical ways to overcome the mental obstacles that prevent maximum performance led to the basic discoveries first described in this, his bestselling classic. Since the completion of The Inner Game of Golf, also available in Pan Books, he spends most of his time in the Los Angeles office of the Inner Games Corporation, developing an Inner Game approach to such diverse fields as selling, management, stress, diet, music and the quality of work. He is also the author of The Inner Game of Golf, and the co-author of The Inner Game of Music, both published by Pan Macmillan. Geoff Beattie is an academic psychologist, writer and broadcaster, who has worked as the psychologist on Big Brother, as well as the Professor of Psychology at Edge Hill University and a Masters supervisor on the Sustainability Leadership programme at the University of Cambridge. He was Visiting Professor at the University of California, Santa Barbara in 2012. Born in Belfast, he obtained a First from the University of Birmingham and a Ph.D. from Trinity College, Cambridge. He was awarded the prestigious Spearman Medal by the British Psychological Society for 'published psychological work of outstanding merit'. In addition, he has written regularly for the Guardian and the Independent and has published several books on aspects of contemporary British life. His book, On the Ropes: Boxing as a Way of Life, was shortlisted for the William Hill Sports Book of the Year. 'All aspiring players must read this. It is much more than an approach to tennis: it is a whole philosophy of life' Psychology Today How to improve your game and discover your true potential by increasing your concentration, willpower and confidence Described by Billie Jean King as her 'tennis bible', Timothy Gallwey's multi-million bestseller, including a new introduction from acclaimed sports psychologist Geoff Beattie, has been a phenomenon for players of all abilities since it was first published in 1972. Instead of concentrating on how to improve your technique, it starts from the understanding that 'every game is composed of two parts, an outer game and an inner game'. The former is played against opponents on the court, but the latter is a battle within ourselves as we try and overcome self-doubt and anxiety. It is often won or lost before a ball has been hit. Gallwey's revolutionary approach, built on a foundation of Zen thinking and humanistic psychology, will teach you how to develop your concentration, work on your gamesmanship and help you break bad habits. You will also learn how to trust yourself on the court and how to maintain clarity of mind throughout the match, giving you a clear psychological advantage over your opponent. Whether you are an amateur or a pro, The Inner Game of Tennis is essential reading for overcoming the self-doubt, nervousness, and lapses of concentration that can keep a player from winning. It is guaranteed to change the way you play tennis forever. Start reading The Inner Game of Tennis on your Kindle in under a minute.